The first man in line skates up the boards with no puck the second man in the same line gives him a pass on his backhand after he catches the puck he goes around the cone and comes in on the goalie. 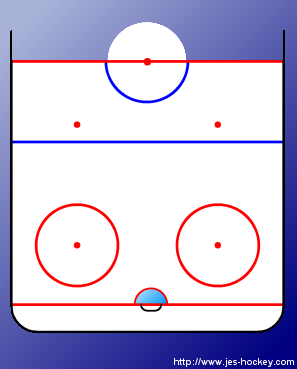 Both sides of the rink can be used at the same time. 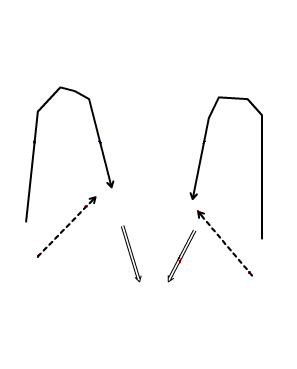 The same step is repeated over and over. The whole point of this drill is for the guy to catch the pass on the backhand, turn, shoot.